This is a Budge Top end gasket kit for the Honda CRM125 Honda CRM 125 engine. Quality full gasket sets all the gaskets your require to strip and rebuild your engine are in these kits. 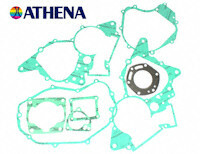 This is a Athena Quality Top end gasket kit for the Honda CRM 125 the engine with a 54mm bore with an electronic power valve. This Kit Is Made In Italy By Athena And Is A Better Quality One Than The Budget One We Sell Which Is Made In Taiwan and the gasket material is better than the Taiwanese one and fits much nicer. All the gaskets your require to strip and rebuild your engine are in these kits. This Is A Moto R.R.T Con Rod Kit Made For The Honda CRM 125 , This Is A High Quality Race Type Part. The Rod Is Made From Chrome Molybdenum Steel Double Forded And Shot Peened For Better Strength And Reliability. The Crank Pin Is Manufactured From Hot Rolled Case Hardened Steel And The Thrust Washers Are Made From Silver Coated Phosphor Bronze And Befit From Having Dimples In Their Faces Which Improves Oil Retention To The Big End Bearing. The Big End Bearing Is Silver Plated With Race Type Cage. Please Don't Confused This Con Rod Kit With The Lower Quality Conrod Kits Sold On Auction Sites! Kit Contains Con-Rod, Crank Pin, Big End Cage, Big End Rollers, 2 Thrust Washers And Small End Bearing. This is to fit the Honda engine with 54.00mm bore. This Part Will Also Fit The Following Model Bikes. Crankshaft Main Bearing To Fit The Honda CRM125 Honda CRM 125 engine. 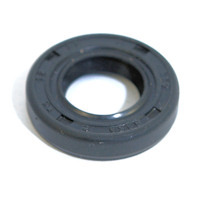 Honda CRM 125 Engine Oil Seal Kit. Then Some To Rebuild Your Honda CRM 125 Engine. In The Kit There Are 8 Seals, 2 Crank Seals, Gear Change Shaft Seal, Sprocket Shaft Seal, Clutch Arm Seal, Power Valve Shaft Seal Etc. I High Quality Seal Kit Made In Italy By Athena. 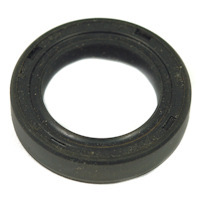 Pair Of Crankshaft Oil Seals To Fit The Honda CRM125 Honda CRM 125 engine. This Is A Seal Kit To Fit The Honda CRM 125. The CRM 125 Has A Mechanical Seal And This Contains The 2 Seals That Are Required To Rebuild Your Water Pump.